All by Chanz: Blurred Dream. 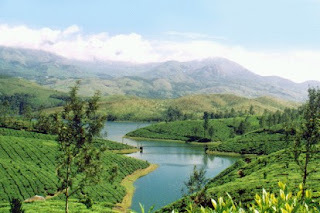 "At last, after arguing about it for a long time, they both decided that they would head to Munnar. On the day of their departure, she reminded him to take the new digital camera". Shvetha had no clue how the new digital camera would be or what is it capable of. This did not deter her from going on. "They both had reserved a first class coupe so that they have some privacy". Shvetha thought how does it make a difference i feel all the time as if no one is around. "They both had a very nice time during the journey, a whole lot of sweet nothings, being mushy with each other and having petty fights. Overall the, journey was the most romantic for them till date. Once they reached the nearby station, the car they'd arranged took them though the winding hill roads".Shvetha couldn't imagine how the roads would be or how beautiful or scary the hill section would be. Shvetha was more interested in their romance. "The hills section was so enchanting, as they went up the altitude, the view of the valley below covered by green all over like a big velvet blanket.By now, she had fallen on his shoulder and was enjoying the ride of her lifetime. Her eyes was more on him than the route they were travelling". Of course, whats all this green blanket, valley view and all - Shvetha thought. "The car reached and they checked in the resort they'd booked. It was a star rated resort with a posh lawn on one side with flowers all around in all bright colors and shapes". But, it's all the same to me thought Shvetha and she was more excited to think about them. "As they entered their cottage which was more of a penthouse on the edge of the valley, there was a drawing room with TV and a small couch a few steps forward, there was the bedroom couple of foot below the level they're standing and in one corner there was a spiral wooden stairs that led to a balcony overseeing the picturesque valley covered with mist. They could feel the mist all over them when they stood over the balcony on their wooden penthouse. The climate, the chill breeze and the ambiance, She couldn't resist giving him a tight hug and a peck on his cheek". Shvetha was expectedly excited about their romantic mood and the time they spent together than the whole surrounding and ambiance thing. Everything was so unreal for Shvetha as she saw everything like a vague dream. "Then there was the sight seeing, awesome falls, echo point with a memorable view, Of course there were elephants in the wild", but Shevtha could not relate most of things to her but their love. "After an eventful day they both were back in the cottage and it had become dark by then. They both sat together on the couch and had dinner in one plate with both feeding each other. Finally it was time to retire for the day as both were very tired. They walked towards the bed and he switched off the light. Then there was total darkness." "Darkness - whats this?" thought Shvetha, now all her thinking was on this one word everything else were out of her mind in a flash. There was no Munnar, no serene atmosphere, no chilly winds, no him. Everyone say to Shevtha that she was in one such everlasting darkness, but to her she was always in one state never mind if it's called darkness or in light forever. The fact of the matter was she doesn't know how to take it. She never knew what light was or darkness was. She was born visually impaired and here she was, sitting on her room and reading a braille story book about a young romantic couple on their trip to Munnar. this time i din have a clue to the climax..